Welcome to the Parish! We are a group of local people of all ages and a variety of backgrounds who are united in our love for Jesus and our desire to serve others. We are here to exercise the ministry of Jesus Christ in our own neighbourhood and to share in the wider ministry of the Church in the world. This ministry includes worship, prayer, fellowship, pastoral care, mission and service. 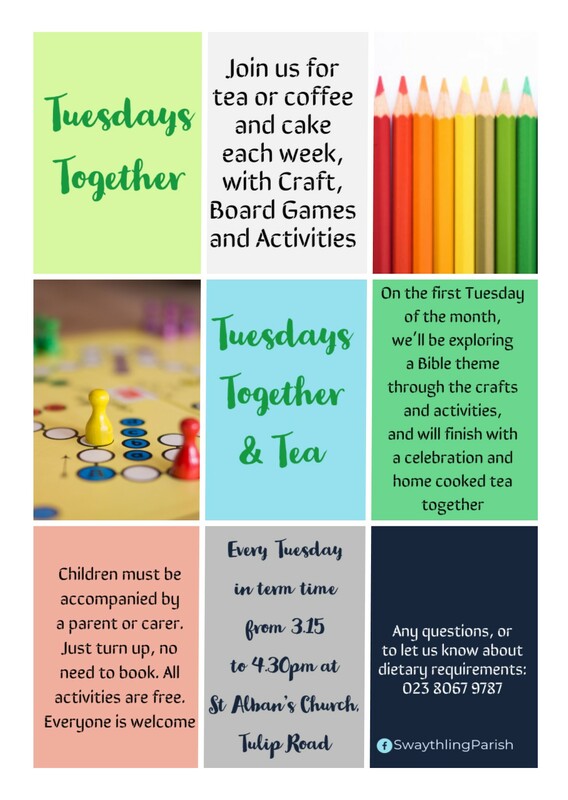 Get involved – There is plenty going on for all ages in the Parish in worship and social events from Tuesdays Together to Coffee Pot, summer and winter fetes, film club, lunches for pensioners, Bible study group, and much more. Take a look around the website to find out more! Builders and Trekkers – Come and join us for fun, activities, craft and discussions as we explore the Bible together. Every Sunday in term time during the 10.15am Service at St Alban’s. Parish Prayer Chain – Do you need prayer urgently for yourself, someone else or a particular situation? If so, do ask and the Parish Prayer Chain will pray for you or your request. Please telephone or email the office leaving a message for the attention of Rowena Noble. Safeguarding – please see our safeguarding page for Safeguarding contact phone numbers and copies of our Safeguarding Policy.